Nestled at the end of a peaceful and desirable cul-de-sac in Princeton, with 4+ private acres, this custom stone colonial has been freshly redone. With refinished ebony-stained wood floors and new neutral cream and white paint throughout, this home now rivals any new construction. 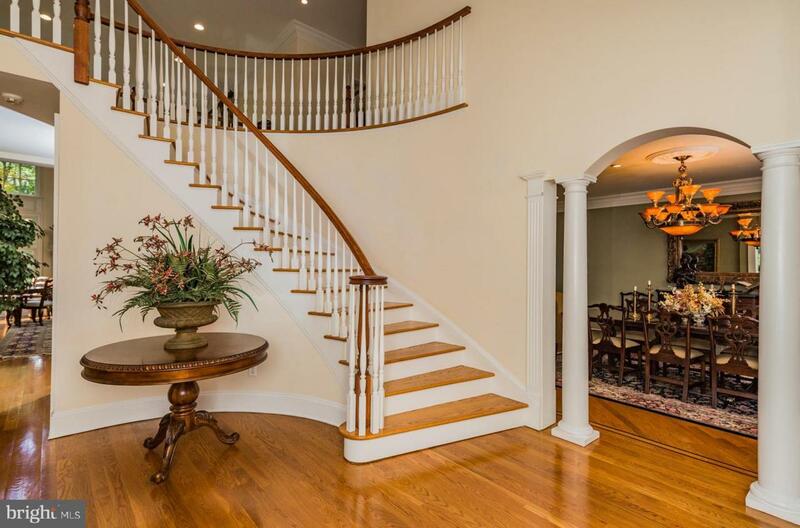 An elegant entry, flanked by coat closets and displaying a sweeping staircase, opens to both the formal living room and dining room, with gracious custom moldings and inlaid wood floors. 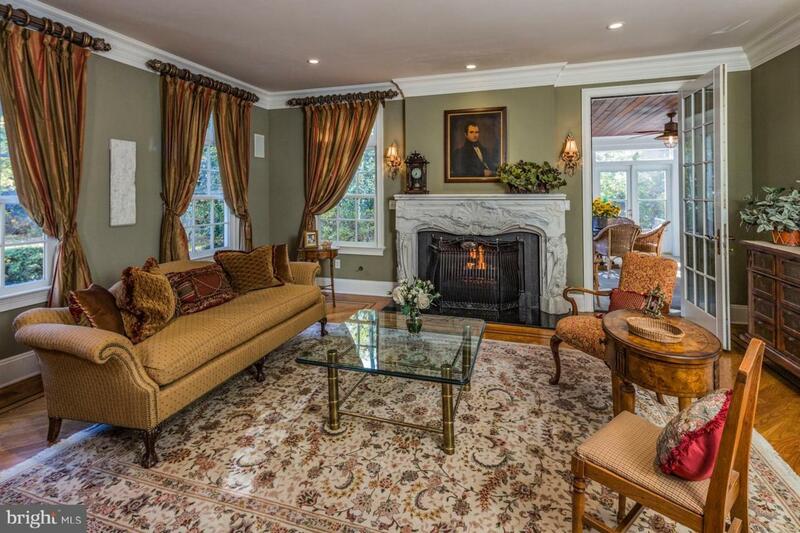 The living room possesses a fireplace with custom marble mantel and leads out to a bright three-season stone sunroom. 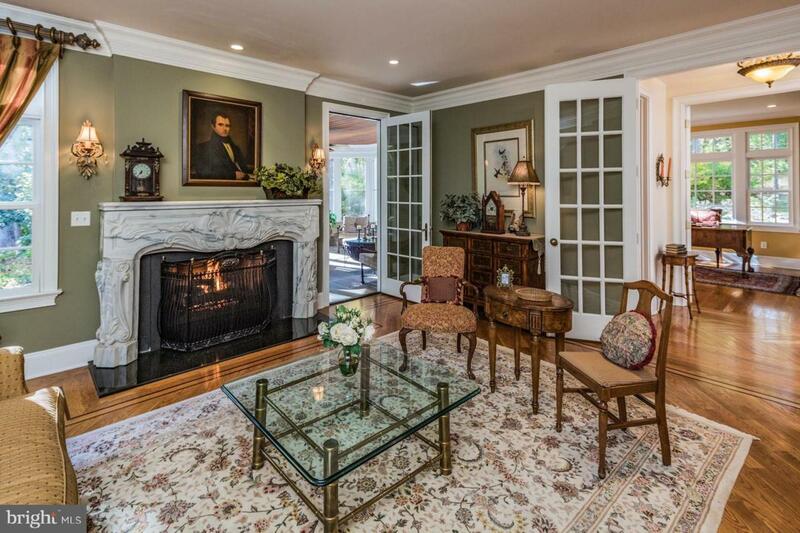 A study with fireplace sits nearby, as does the formal powder room. The spacious family room, with grand stone fireplace and floor-to-ceiling windows and doors, leads out to a bluestone patio and private rear grounds. A breakfast room sits adjacent, also with egress to the patio, and opens to the gourmet kitchen. Creamy kitchen cabinetry, with granite countertops and stainless appliances; a Viking 6-burner range, SubZero, granite island and large pantry, rests in the perfect spot for gatherings, both large and small. The back staircase leads up from the kitchen to the second floor bedrooms. A large mudroom is outfitted with a stone tile floor, custom built-in lockers and cubbies for four, sink, built-in cabinetry to house the washer and dryer, coat and utility closets. An informal powder room is found there, as well. Upstairs, sit five large bedrooms with extraordinary closet spaces, including the luxurious master suite, with dual walk-in closets, a soothing master bath with stone accents, and a private roof deck for morning coffee. Four additional redone bedrooms share three more full baths. Lasley Brahaney Construction finished the third floor attic space to create overflow bedroom space, play space, a walk-in cedar closet and two large attic storage rooms. The grand finished walk-out basement, also constructed by Lasley Brahaney, possesses a wrought-iron wine cellar, second large family room with stone fireplace, media area, built-in bar, game room, exercise room with mirrored walls, powder room, and plenty of storage. A three-car attached and finished oversized garage provides direct entry into the mudroom and kitchen. Close proximity to Princeton schools, public and private, Princeton University, the train to NYC and Philadelphia, and all that downtown Princeton has to offer. Just move in and unpack! Owners are currently in the process of having the tax assessment reduced.